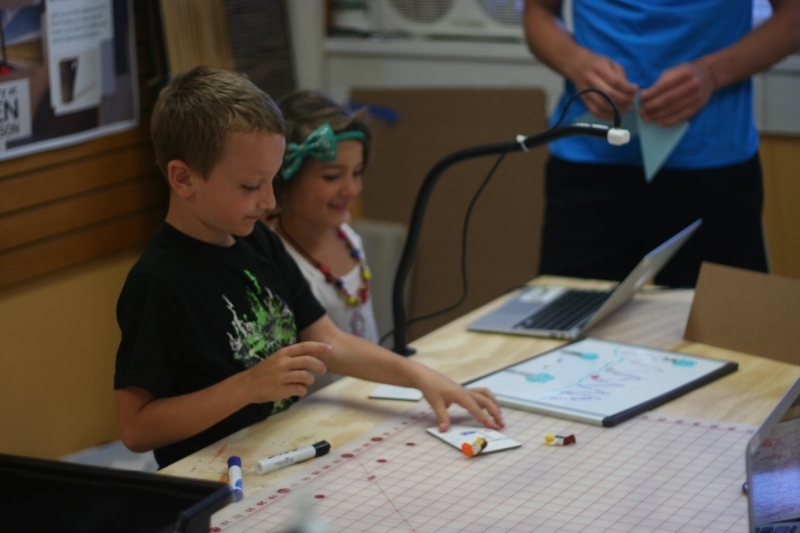 Young Maker Camp finished up last week, tying a bow on a creative and explorative week! By days' 4 and 5, students knew the room, the counselors, and the tools they had at their disposal, which led to some gloriously whacky and creative projects! Participants explored aerodynamics, where they made paper helicopters, fighter airplanes and circles that could be launched above fans in order to test uplift! We even tested them outside, where we explored whether initial velocity of the human launcher led to faster planes! Later, we worked on art design within coded games, which led to loads of giggles and fun! We also took still pictures of LEGOS and whiteboard designs, made small changes, and then took more pictures to create videos of fantastical stories! There were snowboarders doing crazy tricks, sharks eating beneath exploding mountains, and superheroes jumping into cars! We took story telling a step further by using a green screen to code ourselves into stories! 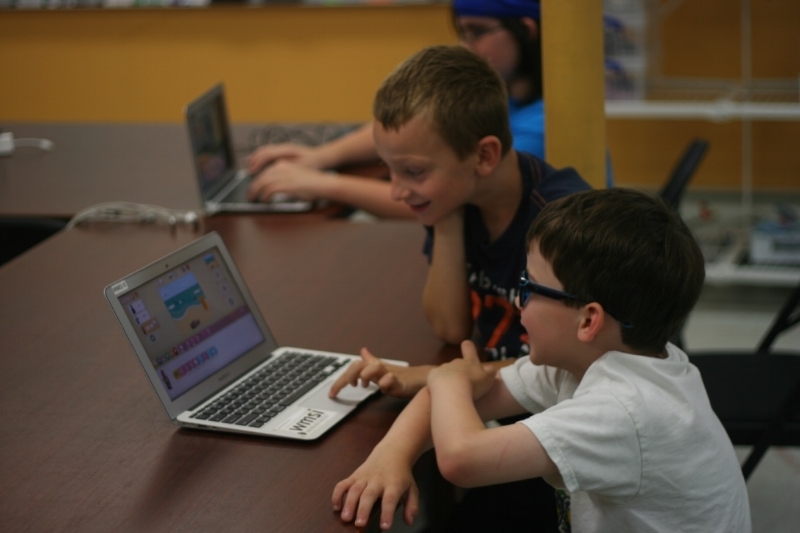 We took pictures in front of the green screen, removed the backgrounds, and then imported ourselves into Scratch Junior (a coding software for kids). Young makers then coded themselves doing a different action, which included jumping, spinning, talking, and even shooting a basketball! 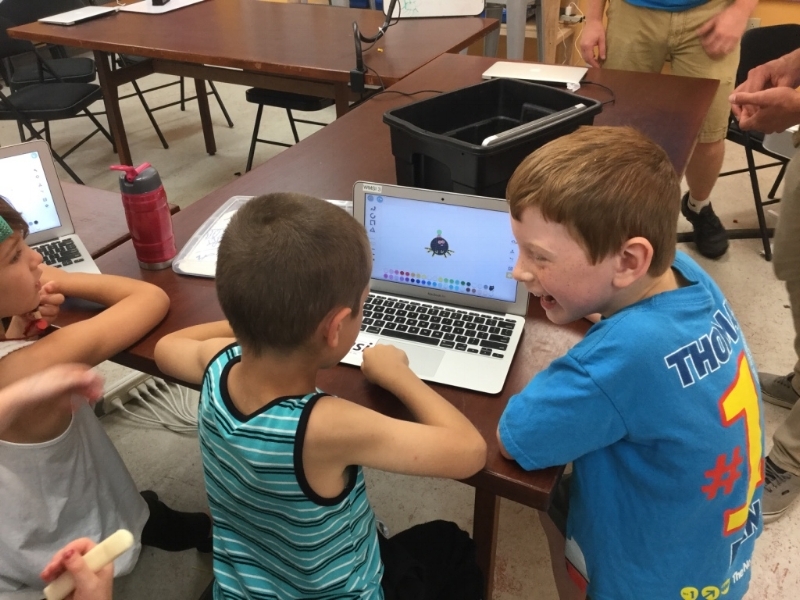 We wrapped up our week of exploration by coding motion sensors in a cool artificial intelligence project. Young Makers coded these sensors to make a sound if triggered. Afterwards, they organized these sensors into a sweet obstacle course. Giggles filled the room as participants went around the course crawling, jumping and meandering away in an effort to avoid the sensors in this full room game! Overall, it was a fantastic week of creativity. The counselors and I enjoyed every second of watching these Young Makers get excited about creativity through STEM challenges.